Fruity mixtures are fun to enjoy, especially during the summer. 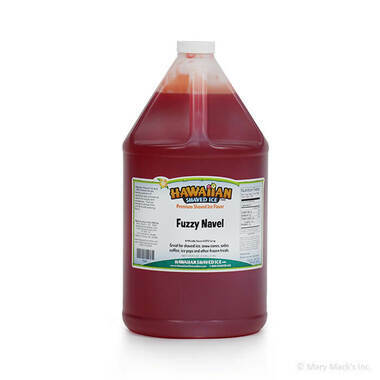 Fuzzy navel snow cone syrup is a refreshing blend of orange and peach flavoring that will leave you feeling like you just took a bite out of both of these tasty fruits. Feel instantly refreshed after one of these delicious Hawaiian Shaved Ice cones. 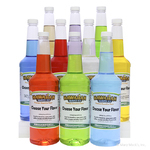 Everyone will love the authentic blended fruit taste and the refreshing flavor. Relax with a fuzzy navel shaved ice cone; your taste buds will thank you. Get a gallon of fuzzy navel sno cone syrup today! 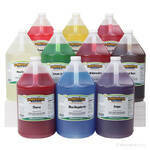 Enjoy your favorite fruits over ice with Hawaiian Shaved Ice�s special blend. You will wonder if you are tasting actual oranges and peaches when you try this snow cone. This flavor is also available in a quart size for your convenience, or can be purchased in an assorted package with all of your other favorite Hawaiian Shaved Ice flavors!